Shout out with the best battle cry ever when wielding the Double Headed Battle Axe. 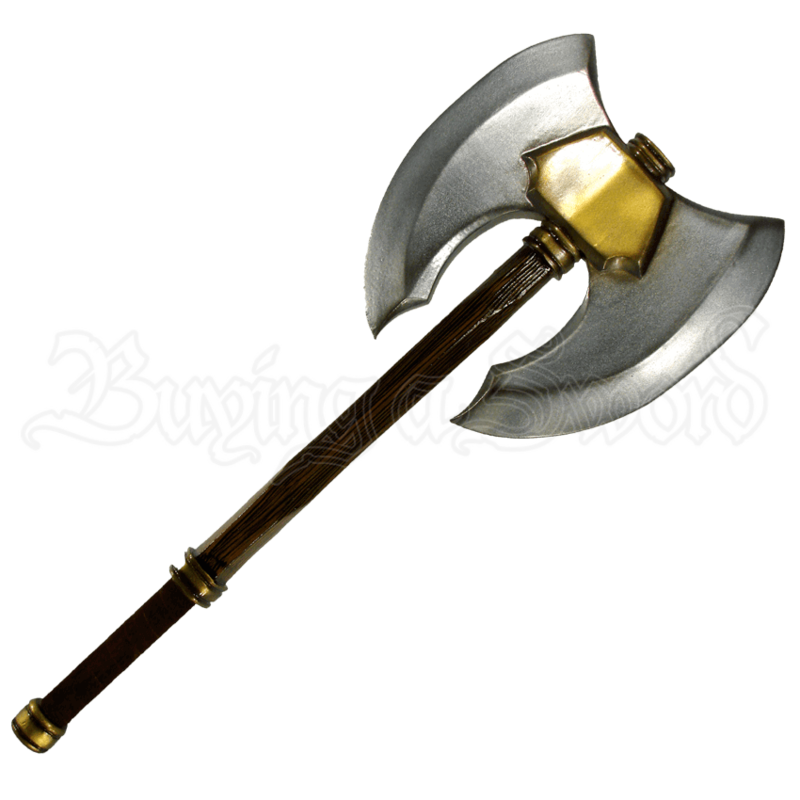 Whether you are a dwarf on the lookout for an entertaining fight, or a barbarian full of rage and bloodlust, this axe is a great ally when LARPing. Every feature of this double-edged axe was carefully sculpted and hand-painted in amazing detail. A dark wood grain covers the haft of the axe. A matte steel finish overlays both blades. Golden textures accent the head, hilt, and pommel. A large gold plate secures the head of the axe to the haft. The beard of each blade curves towards the haft. Split-leather wrapping provides a stronger, more comfortable, grip. 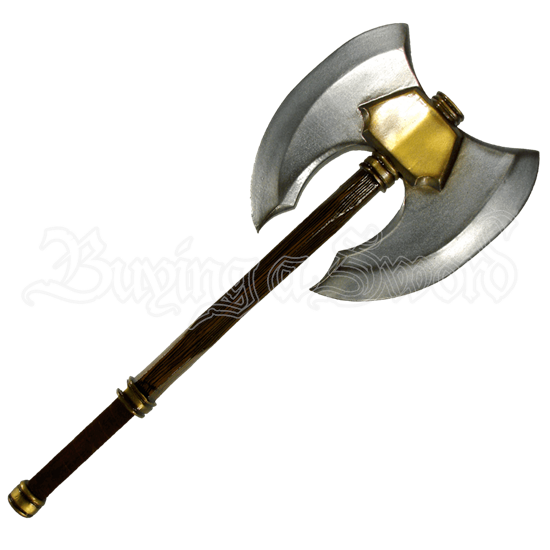 Our LARP Double Headed Battle Axe is made from extremely durable foam that does not shred and sealed with a strong coating of latex. Safety is always an issue in LARP, which is why these have a round flexible fiberglass core with strong Kevlar core tip protection. The axe is approximately 30.5 inches in overall length. This measurement will vary slightly as they are handmade items.